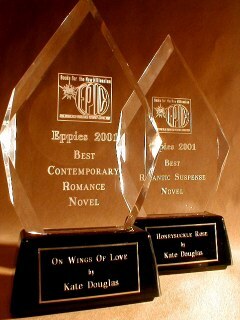 The EPPIE Awards have been given annually since the first EPIC conference to recognize outstanding achievement in e-publishing. The categories are judged by members of EPIC, all published authors. After the first round of judging, the works of the finalists are sent to another panel of judges, and winners in all eighteen categories are selected. The winners are announced at the EPIC conference's gala award ceremony at the annual EPICon Convention.